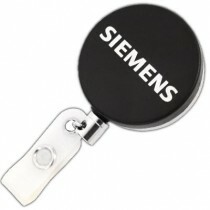 Our badge reels will make carrying your staff identification a cinch! Wearing a badge all the time can be an inconvenience if you don’t have a good way to secure the badge and keep it easily accessible. 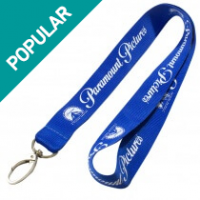 There are many badge holders and lanyards that can be used, but if you want to make it easy for people to use their card throughout the day then you should consider the option to hand out retractable badge reels. 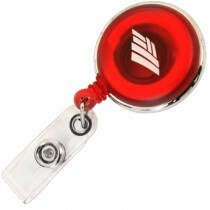 ID badges, of any kind, are very important accoutrements for employees anywhere. They need to be carried smartly and conveniently as well. This is where retractable ID pullers play a huge role. The main difference between a retractable ID puller and a standard lanyard is the fact that the former does away with cumbersome strings that need to be suspended around your neck. 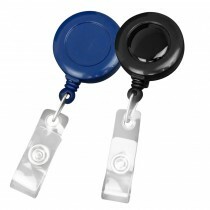 The main benefit to using a retractable ID badge reels instead of a standard lanyard or belt clip badges is the fact that the badge can be pulled out to be accessed, and then it automatically reels back in when the card is not in use. When it is reeled in, the badge is kept close to the body and secure. Another benefit to these reels is that they make it easy to keep the badge in sight, which helps with security of the business or event. Also, consider the branding advantages that are available when the badges are easily in view, because many people will see the badges throughout the day. People can get tired of putting their ID badge away in their bag or pocket, only to have to pull it out again throughout the day. 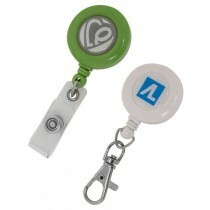 These badge reels allow each person to easily access their badge without having to worry about it throughout the day. If you are providing badges and ID reels for your customers, employees, or team members, then you need to make sure that they are well-made and eye-catching. Don’t settle for poor quality, because these items will make a difference for the branding of your company. The right products will leave a positive impression on each person, especially because these products can be used on an ongoing basis. 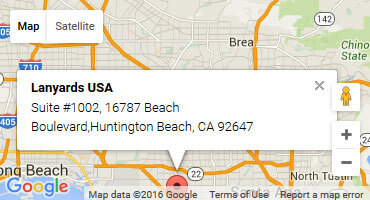 Contact us today to learn more about the custom designs and products that are available. We can custom-print retractable ID pullers, as well as the badges, allowing you to choose the colors and designs that match the branding of your company. 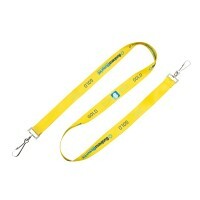 The ability to keep the ID badge close to the body and therefore more secure. Huge range of options – metal ID pullers, standard pullers, chrome finish and so on. 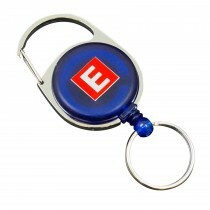 Branding choices because your logo or company’s name can be printed on the puller. The convenience of using a retractable ID puller lies in the fact that the badge can be extended to quite a large length in order to prove employee credentials. After the process is over, the employee need not waste any time trying to put away the badge in his or her pocket or bag. The badge will simply reel back to lie snug against the ID puller. 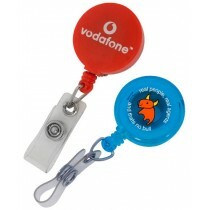 You can also customize the retractable ID pullers in very interesting and creative manner. 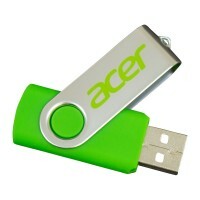 You can choose specific color combinations in order to reflect your brand colors. You can also choose different kinds of pullers for different kinds of events. Considering the fact that they are extremely durable and versatile, people will keep these ID pullers, even as mementos from an event they have attended. As standard our ID reels come with a PVC loop and a button closure which is excellent at securing your ID card or badge holder, without being harsh on the loop hole. We also offer other fittings like carabiner badge reel fittings and swivel clips are also available, your staff can clip badges or ID cards to your plain or branded retractable badge reels and keep their credentials secure and safe. We can even supply a heavy duty spring clip if you desire. Order cheap ID card holders for building access, conferences, events and security personnel. 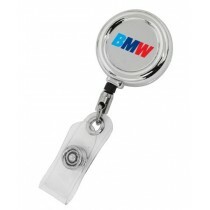 Browse our range of ID badge holders now or ph 657 200 2030.